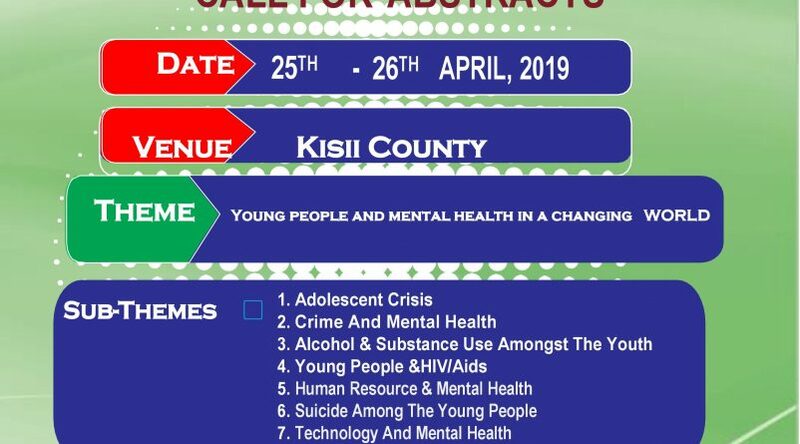 The Mental Health Nurses Chapter conference in Kisii County. 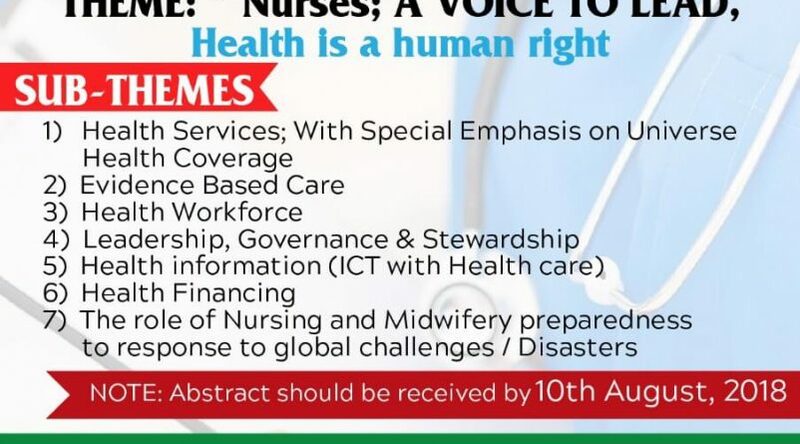 Welcome to the NATIONAL NURSES ASSOCIATION OF KENYA 🇰🇪 60th ANNUAL SCIENTIFIC CONFERENCE /ANNUAL GENERAL MEETING at MACHAKOS COUNTY from 10TH – 12TH OCTOBER 2018. Educational Conference. 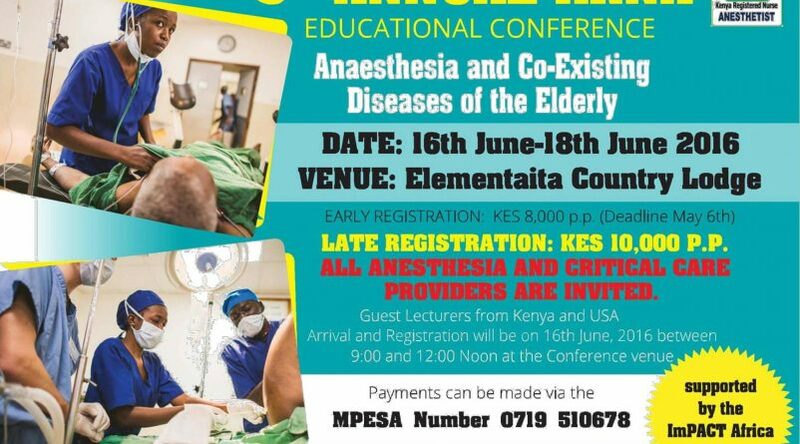 :Anesthesia and Co- Existing Diseases of the Elderly Held on 16th June – 18 June 2016 at Elementaita Country Lodge. 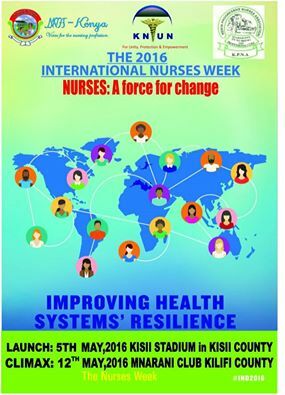 Registration is Ksh 8,000 pp deadline is 6th May 2016.Late Registration is Ksh 10,000 pp . All Anesthesia and critical care providers are invited .